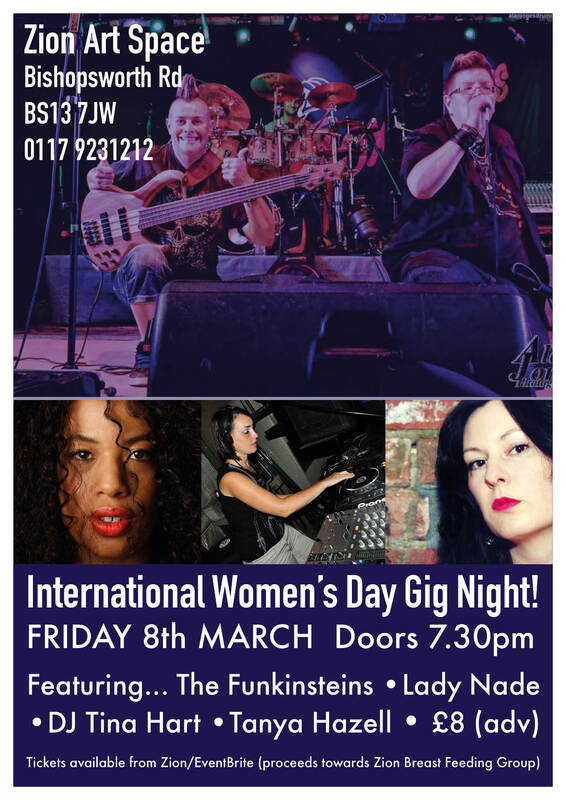 International Women’s Day Gig Night! « A Family Mardi Gras Night! Come and celebrate the strength and progress of the Womens movement for equality in 2019… we are holding a special gig with perfomrances from some of the best female acts that Bristol has to offer! Join us for a night of live music featuring The Funkinsteins, Lady Nade, DJ Tina Hart and Zion’s very own singer-songwriter, Tanya Hazell! Proceeeds from this gig will go towards helping to keep ‘Babes@Zion’ the breast-feeding support group, active and growing for generations of girls and women to come. We’ll have a full bar and Mexican food on the night, over 16s only. Doors 7.30pm, tickets £8 in advance (£10 on the door).